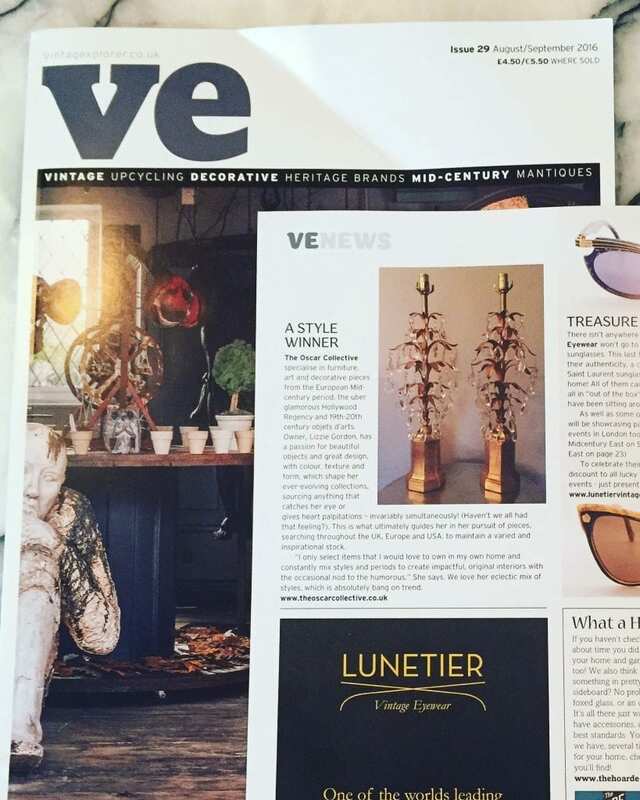 The Oscar Collective is very excited to be featured in Issue 29 of The Vintage Explorer Magazine August/September 2016 issue! Not only are we featured in the Bruton Decorative Antiques Fair news – first time ever the Bath Decorative Fair is coming to Bruton in Somerset 14-16th October 2016. We are also given a fantastic mention in the News Section as ‘A Style Winner’!! Thank you so much to Vintage Explorer Magazine!